How cute is their logo! I've been in London for the past few days and decided I needed to give Primrose Bakery a visit. On my last trip I visited The Hummingbird Bakery in South Kensington and was really impressed, naturally I needed to try out the competition. The exterior was painted in a lovely pastel yellow which was really easy to spot, perfect as I'm terrible with directions. Inside was smaller than I expected, very white and modern looking, with some gift items available behind the counter. In terms of the cupcakes there were several on offer, earl grey was flavour of the day. The only downside was none of the cakes were labelled, so I didn't have a clue what they were. Surely the poor ladies behind the counter get fed up of explaining it to customer after customer! 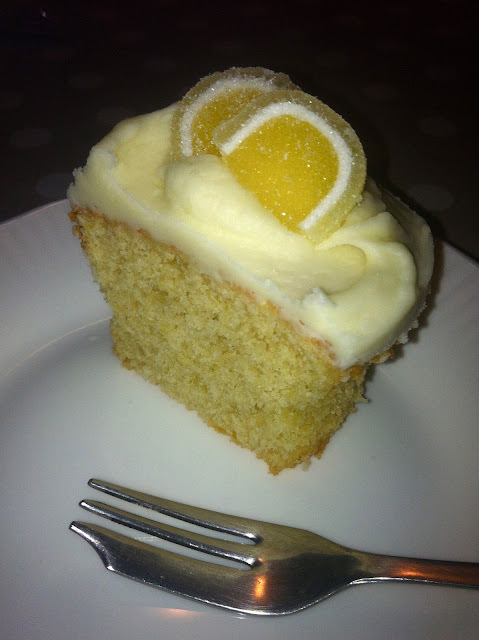 In the end I went for a lemon cupcake and a vanilla cupcake, both of which looked delicious, priced at £2.25 each. They packed them up for me (I love that they included a doily), I headed out for a spot more shopping, and then caught the train home. 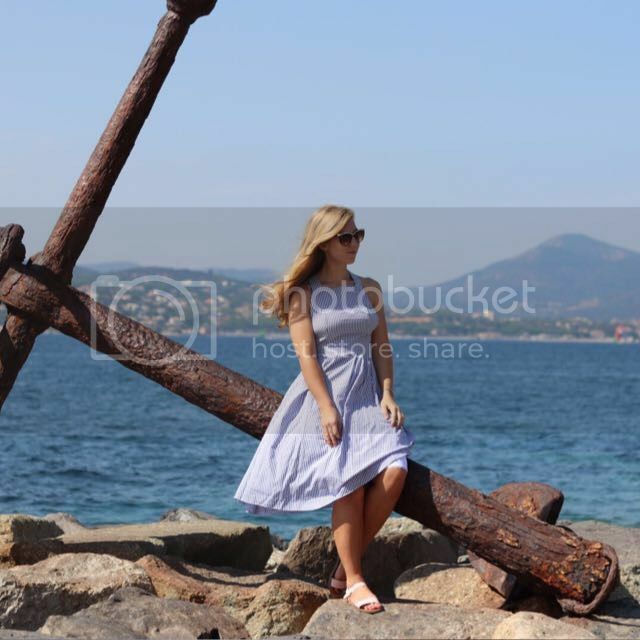 Miraculously they survived and were still in perfect condition. I cut each cupcake into three as my mum, brother, and I tucked in. We started with the vanilla cupcake and were quite disappointed. 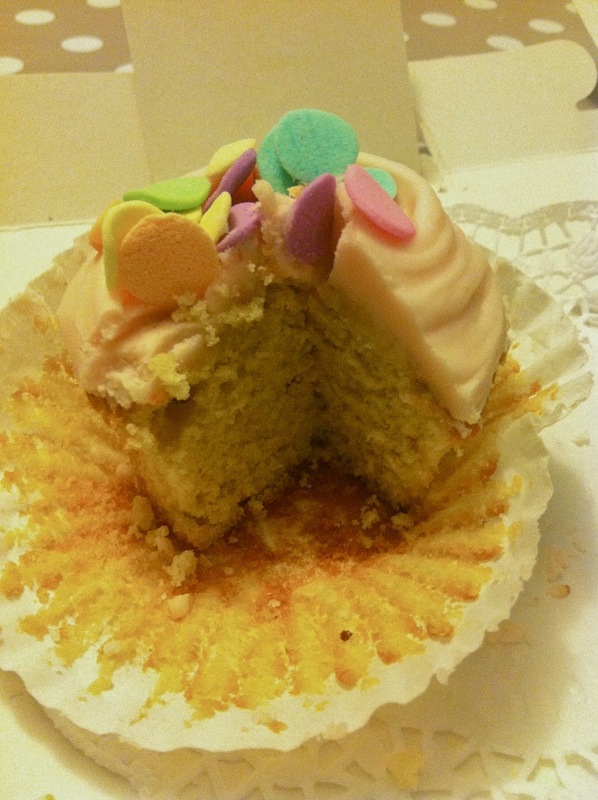 There was a definitely vanilla flavouring, which was very artificial tasting, and the cake itself was really dry. The icing was nice but nothing special. Next up was the lemon cake which was much nicer. There appeared to be bits of lemon zest in the cake itself and was much less dry than the vanilla cupcake. The frosting was perfect, not too sweet nor too bitter, and I'm a sucker for those little lemon jelly sweets. So far I'm still team Hummingbird. Although I have to say Mum's cupcakes are better. One last thing, more of a general thought rather than part of the review. I have a bit of a thing with food hygiene ratings at the moment, and find it really interesting looking up establishments ratings on the FSA website. Not for the hygiene rating itself, but how exteriors can alter our judgement of hygiene. 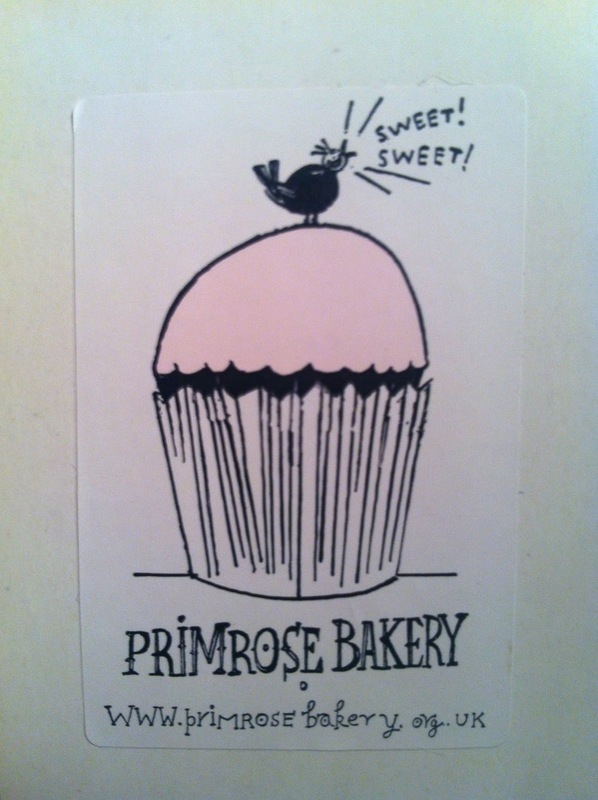 For example, Primrose Bakery's current rating is 3 out of 5 or 'generally satisfactory'. This is the same rating as one of the kebab shops everyone frequents after a night out at Uni, yet most people wouldn't dream of eating there whilst sober. I am by no means saying this in a derogatory way for either establishment, but purely from interest how aesthetically pleasing presentation and produce really is everything to a business.